Ken Brodhagen has always had an interest in massage therapy and bodywork. In 1997 he received a Certificate in Massage Therapy after completing a 100 hour training course. 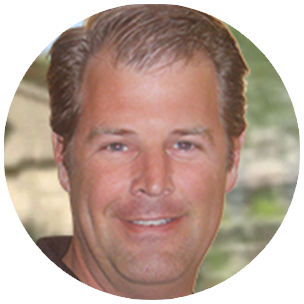 During his years of practicing massage, Ken’s passion for providing his clients with the most beneficial treatments grew. Inspired, he returned to school. After completing 1000+ hours of coursework and training, Ken graduated from the Western Institute of Neuromuscular Therapy in Lake Forest, CA, in 2006; specializing in Neuromuscular Therapy, Trigger Point Therapy, and Swedish and Sports Massage. Ken is a certified massage therapist licensed to practice in California through the California Massage Therapy Council and is a member of the American Massage Therapy Association. Ken’s focus is to build a rapport with his clients so that he is able to provide them with pain relief and relaxation as well as be a resource for them. He strongly believes that the stretching and strengthening of muscles is imperative to prolonging the benefits of the massage he provides. Prior to becoming a massage therapist Ken worked in construction. When he is not caring for clients Ken enjoys spending time with his son, going to the beach, and networking with other massage therapists to remain up-to-date on the latest techniques in massage therapy.